This is a challenging world for sensitive people. From the bombardment of the 24-hour news cycle to constantly taking on other people’s stress, sensitive and empathic people can become overwhelmed. And understanding can be hard to find. Have you been told you need to “grow a thick skin”? Have you been treated as if your sensitivity is some kind of weakness or flaw? I know how this feels. I’m also an empath. Your sensitivity is a gift. I have created this online course to offer you self-care tools to develop this gift and protect your energy so you are not drained. 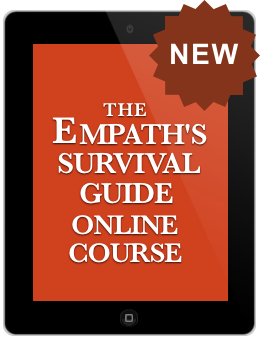 It’s an incredible adventure to become an empowered empath.